American flags around the the D.C. area were lowered Saturday, as local leaders reacted to the death of former President George H.W. Bush. 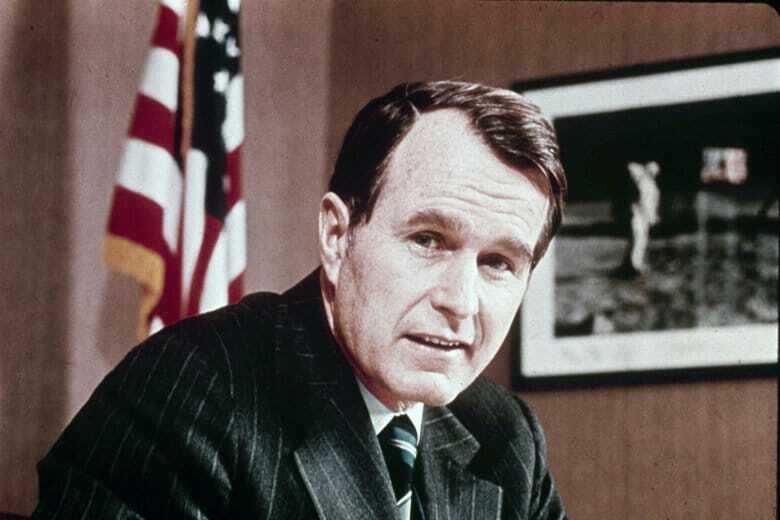 WASHINGTON — As the nation mourns the death of former President George H.W. Bush, so are local leaders in the D.C. area. Flags are being flown at half-staff on Saturday, and many are paying tribute to the memory of the World War II hero. Virginia Gov. Ralph Northam extended his thoughts to the Bush family, honoring the late president’s commitment to his country. Gov. Northam, Maryland Gov. Larry Hogan and D.C. Mayor Muriel Bowser all directed flags be lowered to half-staff. In honor of President Bush’s legacy, I have ordered DC flags to be flown at half-staff. In a presidential proclamation, President Donald Trump praised the 41st president’s leadership. He has ordered flags on all public buildings, military posts, U.S. embassies and consular offices be flown at half-staff for the next 30 days.